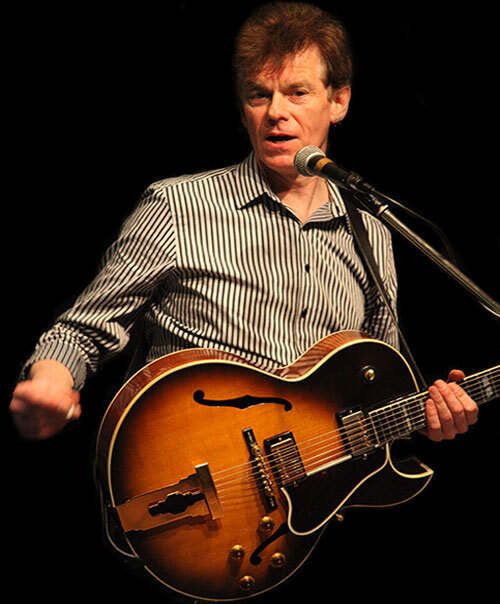 Paul Judge has built a reputation as an outstanding musician and skilful songwriter, with an innovative slide guitar style. Effortlessly weaving fluid melodic lines over driving rhythms and creating subtle and beautiful soundscapes, he features imaginative interpretations of classic blues alongside his own memorable and stylish compositions. Audiences have been thrilled by his eclectic choice of material, from upbeat foot-tapping grooves with powerful, impassioned vocals to moody and evocative instrumentals. His playing and songwriting show the subtlety of expression and harmonic richness of jazz while remaining grounded in the roots feeling and rhythmic intensity of the blues. Using an electrified resonator guitar and a small valve amplifier for solo performances, Paul has developed a unique bottleneck style which goes beyond the influences of Elmore James and Ry Cooder to incorporate walking bass lines, jazz chords, false harmonics and right hand tapping. His debut solo album, 'Person to Person', produced by Steve Phillips, was released in 1998. Following the release of his second album, 'Love and Hard Work' in 2002, he formed his own band (Paul Judge and the Jackals) to provide a broader backdrop to his incisive songwriting and masterful guitar-playing, but he still enjoys the intimacy and creative freedom of solo performing. Paul has played with top-ranking musicians such as Steve Phillips, Eugene 'Hideaway' Bridges, Johnny Mars, Matt Smith and Steve Fairclough, and has supported Paul Jones, Dave Kelly, Catfish Keith, Michael Roach, Geoff Achison and many others. He is also a highly regarded teacher with many years experience, a former slide columnist for Guitarist magazine and for several years was a member of the teaching faculty for the prestigious International Guitar Foundation (IGF).